Video’s rapidly developing hardware and software technologies ensure that video makers have to relearn their craft on major software or hardware updates. This (bi)annual update of tools create a cycle where the knowledge of the tool needs to be rediscovered leaving the video makers in a perpetual state of not only potential technical but also conceptual exploration. These investigations are evident in most video exhibitions, the internet, etc helping this art medium to exponentially grow in the past fifteen years and allowing it – through the new internet technologies – to create an accelerated presence and an ever growing international audience. In spite of this focus, video remains in a nervous condition, in a perpetual state of flux, not defined by a theoretical framework which may contextualise it within the body of cultural dialectics and academia. Instead, it is mostly defined by the practitioners and the technological advances providing it with an “internal dialectic […] produced out of the circumstances of its […] multiple, ongoing invention” 2Sean Cubitt, Videography, 1993, p.4 or as Bill Viola noted: “No beginning/No end/No direction/No duration – Video as mind”. 3Silvia Martin, Video Art, 2006 - quoting a 1980 B.Viola note. This approach shared by many practitioners and theorists prevents the establishment of a unifying theory for video. Their texts “assume the status of art and take its place”. 4Dellbrügg & de Moll, Theorie Remix, 1994 on art criticism The discourse is divided and discusses either the various capture, compositing or presentation technologies or the videos themselves as “the canon of western art history failed to recognize the centrality of technology as an artistic medium and theme or as a hermeneutic tool for critics and historians”. 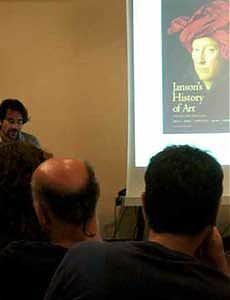 5Edward Shanken, Historicizing Art and Technology: Forging a Method and Firing a Canon As such theoretical texts on video cannot be used as bodies of reference, a critical canon by which works are read by. Cubitt declares that “…video prevents the prerequisite for a theoretical approach: that is, deciding upon an object about which you wish to know.” 6Sean Cubitt, Videography, 1994, p.xvi The use of video spanning from a documentary medium to surveillance and from wedding and family videos to art experiments, was described by Cubitt as the ‘internal undecidability’ 7Sean Cubitt, Videography, 1994, p.4 of the medium. However, this argument may be negated as it discusses the uses void of the intentions. An equivalent analogy would be to reflect on the undecidability of the use of paint in the hands of an artist, a decorator and a DIY painter. The medium is not the message but the means by which purpose is fulfilled, be that the generation of meaning or the execution of a more trivial function. Nevertheless, there are doubts amongst many theoreticians as to the possibilities of a definition of the medium, a decision upon the object. This in my view, helps the medium as the doubts generated assist it to independently ‘be’. According to Descartes “By virtue of the fact that I doubt, I am sure that I think, and […] by virtue of thinking, I am.” 8Jacques Lacan, "Maurice Merleau-Ponty," Les Temps Modernes 184-5 (1961) 248-9. In pursuit of a positive contribution to the dialectic which revolves around the medium, “The Mirror Stage” programme is based on the assumption that video in general and video art in particular has reached a level of maturity that could potentially be determined through the function of its image. As such the program looks at video art through Lacan’s “mirror stage”. That is, how the image acts as a basic ingredient in the constitution of the picture from the subject and how this can be translated into a methodology which would assist us to evaluate the state of video art. For Lacan, mirror images are considered formative in the development of the ego, or sense of self. Without the mirror image we can never learn the difference between “I” or the “other” as distinct to oneself. Even with the mirror absent, “the subject finds itself reflected in others” 9Yasunori Sugimura, Golding as a Psychological Novelist, p.54. This transformation which “takes place in the subject when he assumes an image” 10Jacques Lacan, Ecrits; A Selection; trans. by Alan Sheridan is defined by Jane Gallop as “a decisive moment. Not only does the self issue from it, but so does ‘the body in bits and pieces.’ This moment is the source not only for what follows but also for what precedes. It produces the future through anticipation and the past through retroaction” 11Jane Gallop, Reading Lacan, p.80-81. This approach places the mirror stage within contemporary dialectic as it encourages an eclectic selection and analyses of information in its parts, its “bits and pieces”. 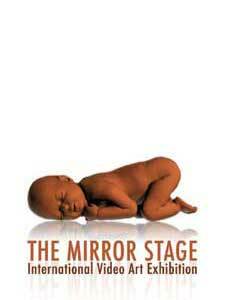 For this reason, “The Mirror Stage” does not present a thematic content. Instead, by exposing the selected videos as ‘pieces’, it hopes to construct an identity where the works can be analysed in their ‘bits’. Video is a recording medium, which captures the ‘real’ or other machine generated imagery. The recorded reality is manipulated through editing, compositing and/or other means which strip the presented pieces from their context, their initially recorded ‘reality’. As such video can be said that it constructs reality by manipulating its appearance and thus presenting the “real in its imaginary dimension” 12Slavoj Zizek: Troubles with the Real: Lacan as a Viewer of Alien (www.lacan.com/zizalien.htm). So it may be argued that video generates what may be perceived as reflective works where the image substitutes the documentation of reality and rises superior to it helping it to assume a symbolic presence comparable to that achieved by the other art disciplines. We would very much like you to watch this NeMe produced video, presenting footage of the exhibition, uploaded on Vimeo on vimeo.com/18587242. Unlike the traditional fine arts like painting or sculpture, video art – analogue and digital – requires a mediated process of technology for its full realisation and continued presence as an art form. This technological hardware is a permanent necessity and cannot be disposed with after the completion of the work. However the embodiment of the medium through technological mediation might not be what makes it unique as television functions in a similar manner. Video art’s singularity lies within its processes towards embodiment, or transmateriality through the immaterial realm of the transformation of data into ideas, the mediation between the object and its representation. According to Lacanian psychologists the mirror stage is a process which does not end in early childhood but continues throughout our lives. Every time we look in the mirror we stare at a new ‘other’ which gives us clues about our process of becoming. This constant reinterpretation and reinvention of our future perfect, can exist beyond the study of our mental processes. Psychology looks at the object as the subject of study. In the case of a mirror image the correlation between the objects and their reflection can be seen as dependent variables where the one cannot exist without the other. Nevertheless the key element in this relationship is not the object/subject or the reflection but the ‘machine’ which allows the coexistence of the two: the mirror. It is its shape and quality which affects the mirror image and the resulting relationship between the subjects and their reflection. A non flat mirror should, in Lacanian discourse, affect the transformation which takes place in the subject or as Nietzsche observed, “our machines are working on our thoughts”. In the case of video, the relationship which is generated, is interchangeable. On the one hand, there is the recorded object and the subject of the resulting video, and on the other, the recorded subject and the object which video becomes, the transmaterialisation of the material into immaterial and back again. The various evolving technologies which mediate between the two, ‘the mirror’ if you wish, inherently determine the shape of the object and hence the presented image. In the words of Marshall McLuhan “We shape our tools and then our tools shape us” 15Marshall McLuhan "Laws of Media: the New Science" 1964, xi-xii and it is this which provides us with a premise which crosses between the disciplines of art, technology, theory and psychology and the platform for “The Mirror Stage”. Exhibition Duration: 20-29 September 2008. Ziad Alhalabi, Muhammad Ali, Sonia Armaniaco, Paulo R. C. Barros, Neil Beloufa, Orit Ben-Shitrit and Harold Moss, Cristiano Berti, Nisrine Boukhari, Nathan Boyer, Rose Butler, Domenico Buzzetti, Blake Carrington, Marina Chernikova, Christodoulos Christodoulou, Paul Destieu, Alexei Dmitriev, Dubrass, Yiannos Economou, Joëlle Ferly, Taryn FitzGerald, Thorsten Fleisch, Adonis Florides, Michael Fortune, Felipe Frozza, Jonathan Gitelson, Suguru Goto, Gruppo Làbun, Ann Guest, Henry Gwiazda, Rich Heeman, Sonja Hinrichsen, Sam Holden, Tammy Honey, Sharon Horodi and Cheb M. Kammerer, Chris Ireland, Maria Rosa Jijon, Carolyn L. Kane, Aditi Kulkarni, Robert Ladislas Derr, Aileen Lambert, Brendan Lee, LEMEH42, Maria Lianou, Youssef Limoud, Ron Longsdorf, Simon Longo, Lustre, Avigail Manneberg, Jonathan David McPherson, Michaela Nettell, Anne Niemetz, Jonas Nilsson, Eric Olofsen, Eva Olsson, Sharon Paz, Anat Pollack, Stuart Pound, Zach Rockhill, Daniel Rodrigo, Antti Savela, Guli Silberstein, Roddy Simpson, Sean Simpson, Elizabeth Smolarz, Megan Smith, Oliver Smith, Tobias Sternberg, Evelin Stermitz, Dia Theodorou, Jennie Thwing, John Tronsor, Lee Wells, Vagner M. Whitehead, Shaun Wilson, Gordon Winiemko, David Yates, Theodore Zeldin and Poppy Sebag-Montefiore. “The Mirror Stage” events are sponsored by The Cultural Services of the Cyprus Ministry of Education and Culture, The US Embassy in Cyprus and Hadjikyriakos & Sons Ltd. The image used for the exhibition publishing material was extracted from Megan Smith’s video “child” with her permission. © 2008-2019 NeMe and/or respective contributors.